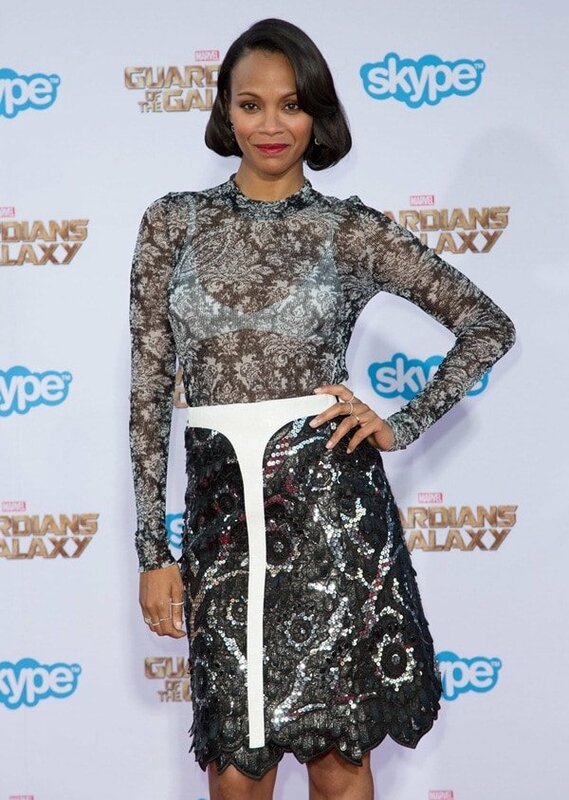 Zoe Saldana showed off a hint of her baby bump at the L.A. premiere of her new sci-fi flick, ‘Guardians of the Galaxy’. The actress went bold in a Louis Vuitton lacy outfit featuring a sheer top that revealed her white bra. While her Louis Vuitton dress has a darker vibe, Zoe’s look was reminiscent of Selena Gomez’ all-white outfit at Ischia. The edgy lace frock was accented with a white belt detail that added a modern element to the dress, but it also looks a little off-putting and weird because lace is so feminine and classic. 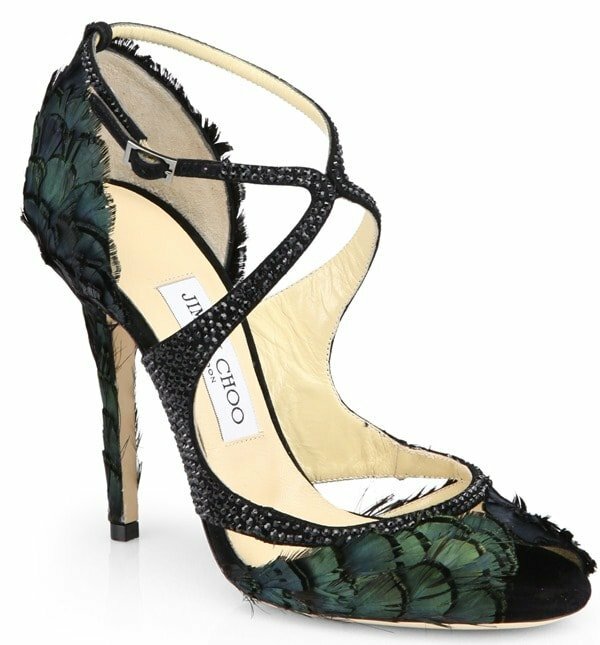 Zoe finished the ensemble with a pair of Jimmy Choo “Kamelia” feather sandals. 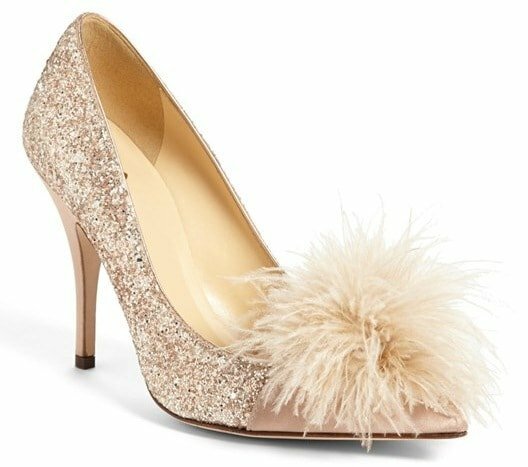 These furry heels are from the brand’s Spring/Summer 2014 collection and were inspired by the exotic elements of Mother Nature. Unfortunately, they are no longer available online, but we found you a couple of alternatives that will jazz up your outfits.